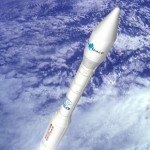 Vega is launched successful and Satellite Signals are Heard. 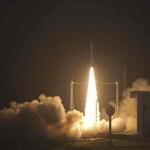 The first Vega, flight VV01, lifted off at 1000 UT from the ESA Spaceport at Kourou in the Caribbean carrying eight student built amateur radio satellites and the LARES Laser Relativity Satellite into orbit. At 1153 UT Drew Glasbrenner KO4MA reported hearing signals from the satellites as they went past Florida. Signals were first heard in the United Kingdom at around 1208 UT.